Email is regarded as 'the most important advertising medium'. Sign up and get involved! Intuitive, rich, and cost effective Email with analytical features. 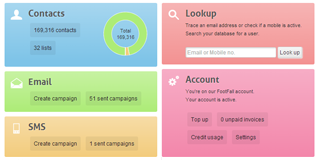 Why spend hours creating Email and SMS campaigns when you can do it in a matter of minutes? Simple List upload technology, stunning email templates and a one-of-a-kind simple drag and drop interface will allow you to create fantastic email or SMS campaigns in minutes rather than hours - with no technical knowledge required. Schedule exactly when you want your campaigns to be sent; You can either send immediately or select a date up to 20 years in the future! Now that's organisation! 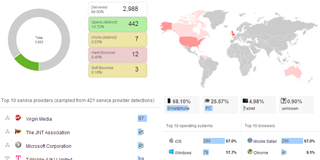 See exactly who has been opening and clicking your Emails, where they open them, and what device and internet connection they're using. Automated Google Analytics integration also allows you to estimate return on investment. Graphs and data galore! Analyse your campaigns to your heart's content with our advanced reporting features. 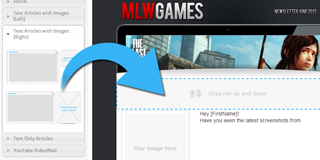 It's as simple as drag, drop, click! Build stunning Emails with our unique drag and drop editor! Drag pre-built sections into your template and edit them inline. Pictures, text, social media buttons... even video - it's all been made simple. Everything is hosted for you and there are no upload limits. Add images, maps, and videos! 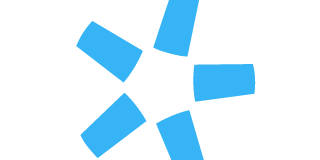 Easily upload images, then crop and resize them to fit your Email perfectly. 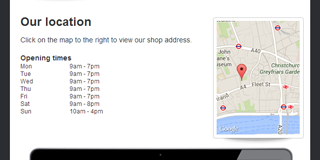 You can add Google maps and YouTube videos too. What should be a nightmare to set up... is extremly easy. Set up custom Email addresses on your own website domain name. We do all the hard work with SPF, DKIM, DMARC, and Domain Keys. 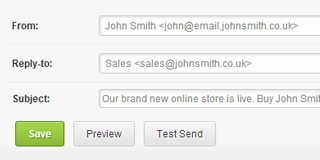 In addition to complying with more email best practice processes than any other ESP in the market, the Now Marketing system includes an automatic SPAM and Formatting checking tool, unlimited test sends and email preview functionality as standard to ensure you have the best possible chance of getting your message into the inbox.